The 2015 New York Auto Show unveiled the upgraded version of Lexus RX, Lexus RX 350 2016. The fourth generation model has been one of the best selling models in the automotive industry. And now being equipped with better looks and more power beneath its hood, the model is speculated to create new benchmarks with both its variants (second named as 450h F Sport). 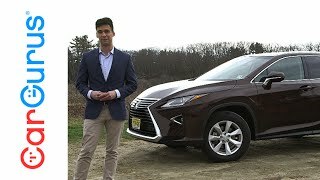 Let us have a look at the review of Lexus RX 350 2016 to know more about it and if the Lexus’s expectations are true to the fullest. 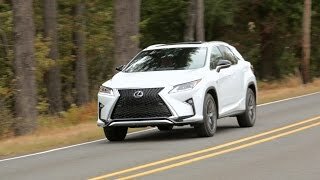 The interior of Lexus RX 350 2016 is distinct in its own way and commendably creates a new boulevard in the segment. Entering the cabin the first thing that you might notice is the redesigned center stack, that in comparison to predecessor features more rectangular infotainment screen, sitting right above the dashboard. At the bottom of the stack sits HVAC controls and an analogue clock in center. Getting close and having a look at the center console houses electronic parking brake, gear selector, infotainment controls and drive mode selector. The interior of Lexus RX 350 2016 looks elegant with its color tone and leather upholstered seats. In all it’s a spacious arena filled with comfort and luxury. 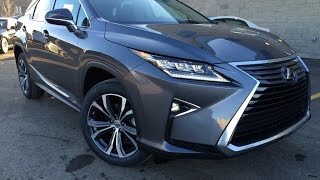 The exterior of Lexus RX 350 2016 might not give the feeling of new to lot but a closer look reveal lot of secrets. Up front sits the massive trapezoidal grille creating way till the body-colored bumper. The set up sit amidst elongated LED headlights, adding to the aggressive touch and look extremely gorgeous. Along the side, curves above the side sills look muscular while the most attractive integration is the floating roof design with its blacked out C-Pillar. 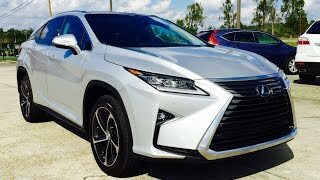 In the exterior of Lexus RX 350 2016 might not have many visible changes but in all the looks and design will amazingly amaze you. 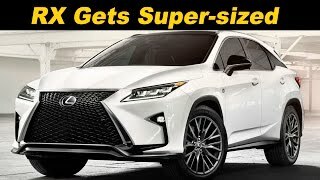 Beneath the hood of Lexus RX 350 2016 is a 3.5 liter direct injected V6 gasoline engine cranking total output of 295 hp and peak torque of 362 nm paired to eight-speed automatic transmission.